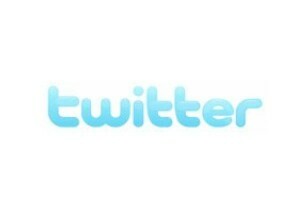 Do you use Twitter? If you do, you’ll find me there (follow me at Miss_Thrifty). The more time I spend on Twitter, the more I like: it’s dangerously addictive, but I follow a number of frugal freaks and mommy bloggers, and I’ve picked up lots of money saving tips and pointers. I also get to talk/tweet with some of the people whose blogs I really enjoy, and others who are regular Miss Thrifty readers. Snaps all round! Anyway, the Twitip blog has asked its readers to submit their “Top Ten must follow lists“, so this got me thinking. I’d find it hard to come up with a “Top Ten must follow list”, but I do have a list of some of my current frugal favourites. They have been active on Twitter within the past week. There is no point following someone who is never there! They don’t fill my Twitter homepage with tedious chatter about inane rubbish. Nope, I don’t want to read blow-by-blow accounts of your visit to the dental hygienist. Thanks all the same. Nor are they signed up to advertising programmes such as Magpie, which stream ads onto followers’ homepages. I’m rather particular, so I usually unfollow people who do this. Lots of great tips / I find their tweets – at least some of them – useful. @bripblap: I only found him on Twitter the other day; where have I been? His goal is financial freedom – and by jove, he’s going to reach it! Bripblap also blogs, here. @Freegan: Secret Freegan lives in Phoenix and tours supermarket dumpsters, scooping up all the discarded food that is good to eat and distributing it amongst homeless shelters. I am often amazed by the food mountains she collects. I live my dumpster-diving fantasies through Secret Freegan as I haven’t yet worked up the nerve to go routing through the bins at my local Morrisons. It doesn’t help that because I live in a small place, I know half the people who work there. @freefrombroke: NYC-based freefrombroke also writes a blog of the same name, about exploring ways to be, well, what it says on the tin. 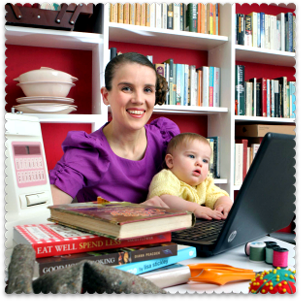 @frugalbabe: The Babe blogs here and fills me with wonder whenever she tweets/writes about making non-disposable nappies for her baby son (pictures of the “Cat in the Hat diaper” and “Wyoming diaper” are here). @moneycoach: In her words, Nancy is a Money Coach at night. Citizensbanker by day. Social entrepreneur in the making. and a n00b activist. She blogs here. @moneymatters: Twitterer and blogger out in Minnesota, who writes about personal finance – with a Christian twist. @PenelopePince: PP writes for the Pecuniarities blog and has thrifty living down to a fine art. @MrsMicah: Mrs Micah and her husband are currently paying off $100,000 of student loan debt. She blogs here, and always has lots of good money saving tips. @squawkfox: One of the first people I followed on Twitter, because I’m a great fan of her no-nonsense, frugal living blog. @YouCanMakeThis: Yes You Can! This Twitterer runs an online craft shop and brings out my inner domestic goddess. The thing is, I know there must be tons of other top-notch thrifty types on Twitter – so who have I missed? Are you one of them? Please let me know via the comments: I know this is supposed to be a list of ten, but any good ones I get will be added to the master list. Thanks! UPDATE: Free From Broke sent me a great list of other Frugal Twitterers (see the comments, below). I have also added a short post on personal finance Twitter users. And dur! How could I omit @nomorespending? Hope you don’t mind the list! Nice list, I follow one or two from the list as well. I recently joined Twitter and enjoy the experience so far! great post! 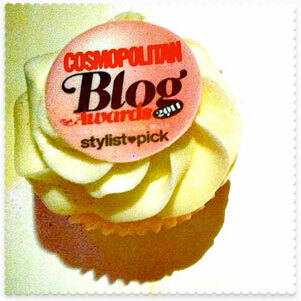 i posted my top ten PF blogs today as well! That’s a great list! There’s a few listed there that I neglected to follow. Off to correct that injustice now! Mighty Bargain Hunter posted a giant list of 118 twitter users who blog about money a few months ago, coincidentally on the same day I joined twitter. Be sure and scroll through the comments for more that were left out of the list. This is a very useful list! Thanks for putting it together. I especially like how you focused on only the high quality Twitterers who provide content with value. I guess it’s not surprising that an easy-to-use, free tool like Twitter has attracted so many people in this community, but I’ve found lots of people who talk about saving money, deals and living the frugal life. Aw, thanks! I love the few minutes of diversion that I find on twitter each day. And it never fails that I come across a great idea or blog article from my twitter friends. Shameless self-promotion, but I’m new-ish to the whole Twitter thing, so thought I’d thrown mine out on here. http://twitter.com/savingsnotshoes I’ve added everyone above to mine! What a great blog and thanks for the list as I am new to blogging and even newer to Twitter. I am going to go through everyone here and add them on twitter. Anyone who wants to follow me can, my user name is frugalfamily.